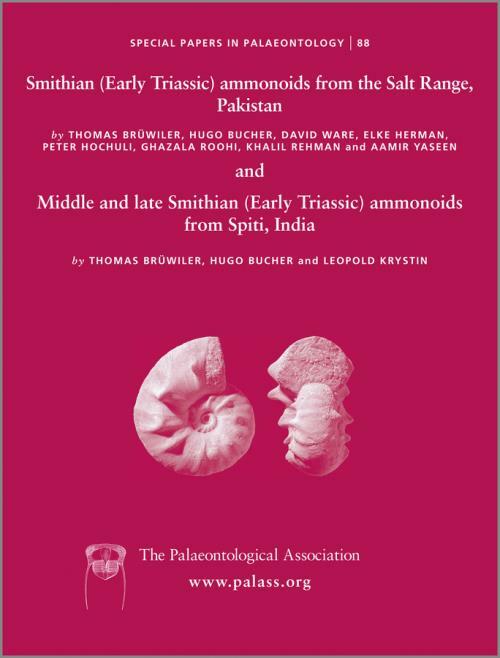 Special Papers in Palaeontology 88 comprises 2 substantial papers that describe the Early Triassic (Smithian) ammonoids from the Salt Range (Pakistan) and the Spiti region of India. Ammonoids are abundant and well–preserved at many localities in these regions, and their highly resolved evolutionary succession is the key to stratigraphic correlation between the 2 areas, and with other Tethyan sequences such as those in southern Tibet and south China. Many new key genera and species are described.